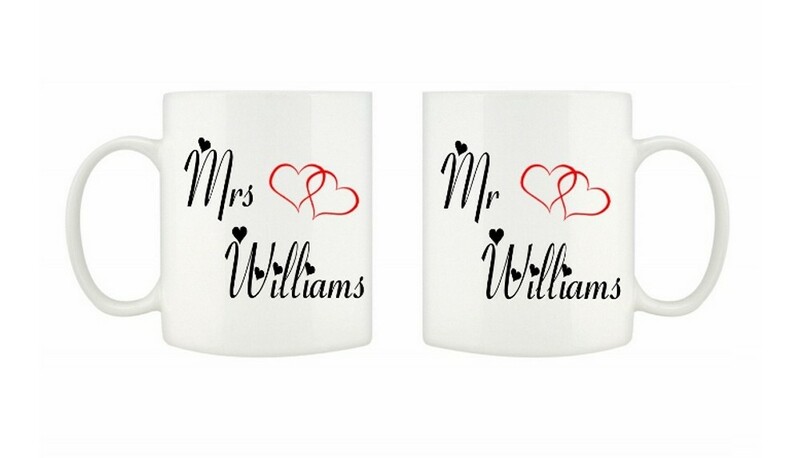 Personalised Mr & Mrs White Mugs. 6oz White Ceramic Mugs Personalised in black text with Mr & Mrs with the red entwined hearts. All you need to do is advise us of the surname to print for you. A great unique gift for the newlyweds! Please see the other items we have to offer in this range too.